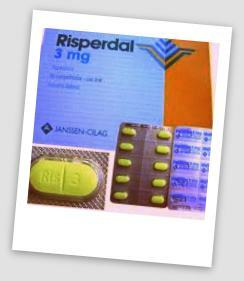 RISPERDAL contains risperidone, an atypical antipsychotic belonging to the chemical class of benzisoxazole derivatives. Risperdal was introduced by Johnson & Johnson in 1994. It is used for treatment of schizophrenia, bipolar disorder and behavior problems. Risperdal was only approved for adults, the FDA approved Risperdal for children in 2006. Did You Develop Gynecomastia Or Male Breasts From Risperdal? If you or a loved one developed male breast growth with Risperdal and have suffered injuries, including breast removal surgery, please contact the attorneys at Dr Shezad Malik Law Firm to learn more about your legal rights. You can speak with one of our representatives by calling toll-free at 888-210-9693 ext. 2 or 214-390-3189, or by filling out the case evaluation form. How Does Risperdal Cause Male Breasts? Risperdal is associated with increasing the level of prolactin, (an important hormone or chemical in the body) in boys and young men who take the medication. Prolactin hormone stimulates breast growth and milk production, and that is what happens in normal pregnancy in women. Only these boys and men are not pregnant. In young males, increased prolactin has been linked to the development and enlargement of breast tissue. This medical condition is called gynecomastia. Risperdal is manufactured and soldby Janssen Pharmaceuticals, Inc., a Johnson & Johnson company. Venous Thromboembolism or a blood clot in veins. Gynecomastia is a serious medical condition and breast tissue growth can be a painful and difficult injury to boys and men. Gynecomastia can affect social life, health, confidence, and mental and emotional well being. According to a study published in the April 2013 Plastic and Reconstructive Surgery journal, there can be severe psychological impact from Risperdal induced gynecomastia on adolescent boys, which may have a lasting effect throughout their lifetime. According to experts from the American Society of Plastic Surgeons, even mild gynecomastia can have severe emotional impacts on boys, leading to a recommendation for intervention and treatment, including male breast reduction surgery. According to the latest medical research, the gynecomastia side effects of Risperdal use among boys or young men increases the risk of abnormal breast growth. In a study published August, 2015, in the Journal of Child and Adolescent Psychopharmacology, researchers from the University of British Columbia reported that use of Risperdal may increase the risk of gynecomastia breast growth in teens and young men by a factor of four. Dr Shezad Malik, a Texas licensed medical doctor and Pharmaceutical Personal Injury attorney will investigate the potential claim, by reviewing medical and pharmacy records. Dr Shezad Malik Law is currently accepting and filing Risperdal Gynecomastia lawsuits nationwide. Settlements have occurred, but not all cases will eventually settle. In September 2012, it was reported that Johnson & Johnson settled a Risperdal breast growth lawsuit brought by a 21 year old, who alleged that the side effects caused him to suffer psychological trauma and undergo surgery to have the breasts removed. That settlement was reached before trial was to begin in the case, which was the first bellwether case scheduled to reach a jury. A growing number of families throughout the United States are pursuing a Risperdal Gynecomastia lawsuit on behalf of kids and young adults who developed breasts on Risperdal. Risperdal is available as a generic since 2008. Risperdal was a blockbuster medication, generating global sales of $4.5 billion in 2007. Johnson & Johnson has faced significant legal action over their Risperdal promotions, which illegally marketed the drug for off-label uses that were never approved or established as safe and effective. Many cases are pending in New Jersey and Pennsylvania state courts, and the number of complaints continues to increase as young men discover that their problems with breast growth may due to Risperdal use as a young child. If you or a loved one had male breast growth, gynecomastia with Risperdal and have suffered injuries, contact the attorneys at Dr Shezad Malik Law Firm to learn more about your legal rights. You can speak with one of our representatives by calling toll-free at 888-210-9693 ext. 2 or 214-390-3189, or by filling out the case evaluation form on the right of this page.